Might have been better served by your Sleipnir comp. It would have been a bit predictable for this fight, plus we would have lost about a third of our DPS (the Caracals) right off to those AFs. Why did you make me click on that Grace Helbig youtube video... that was possibly the most annoying few seconds I ever saw (until I closed the tab as fast as my mouse could reach that little X in the corner). Anyway, good luck going forward. It's entertaining to me to think of Raivi/CCP Fozzie as anyone's fanboy. As a EvE player who happens to be gay in RL I think that Brent's apology is heartfelt but also an indictment of the general disregard to these sort of things in EvE. It was out of habit that he said that. With THAT said, the whole thing was almost worth it for Dolan's expression. It was akin to Mike Myer's during the "George Bush doesn't about black people" event. You're definitely not wrong about the general disregard about this sort of thing in EVE, unfortunately. I winced when it was said. My boys were watching the stream with me (720 feed to the big TV, WOO !) and they both heard, and looked to me for my reaction. They saw my expression and the youngest (9) said "That was an oops"
They both looked at me again, when Ap. Brent apologized during the into audio in the next fight. I agree that it was handled fairly well. Sadly, I also agree that its usuage in EVE is endemic. You think the comments in the stream where amusing? We are fortunate he isn't a CCP employee. Watching him since last weekend has really made me wince. As someone who has never flown in the tourney and has limited pvp experience only 300 ish km. I'm not sure I would bring a T1 logi in the tourney. Either T2 or T3, I just don't think T1 have the resists or ehp to last long enough to function. Great match to watch. Actually this tournament has to be the best one I've seen and I've watched the last 7 or so. Brent (on the forums) is def. right about internet vernacular rubbing off even when you don't want it to, sadly. 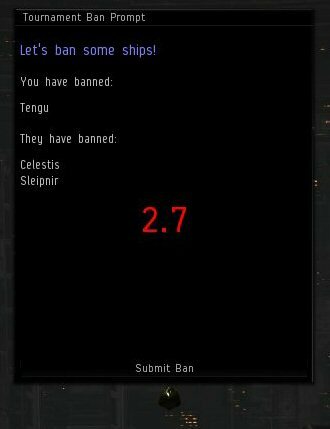 It is nice to know some in the eve community care when the masses surely do not. If I were on the Rote Kapelle team from last year I'd much rather have a Malice KM than a win over PL...but maybe that's just because you guys didn't advance to the finals? Brents enthusiasm was refreshing given the normally informative but staid style of most commentators. I hope he comes back next year. I didn't hear the 'incident'. I gather there was no malice behind the usage so, meh. I'm as guilty as a lot of other people for coming out with internet words when I'm out and about so I'm not going to hang him out to dry just because it was said in front of a few thousand people. I gave up on the twitch chat stream after a few minutes on Saturday as it appeared to be the typical cesspit of anonymous internet posters. I find it difficult to believe anything from there could be found amusing. Would a Logi flagship have been useful? Also, I am really enjoying the rare good use of MJDs.